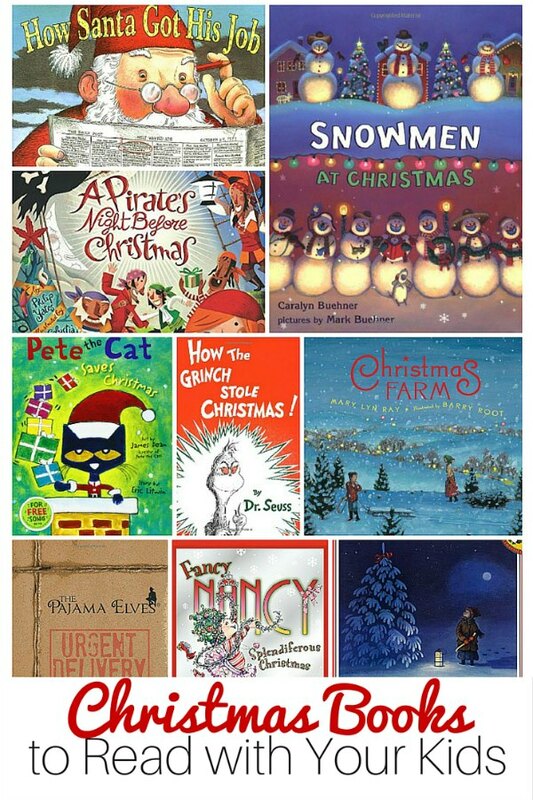 During this time of year, we put our homeschooling read-alouds aside and turn to our favorite seasonal books. 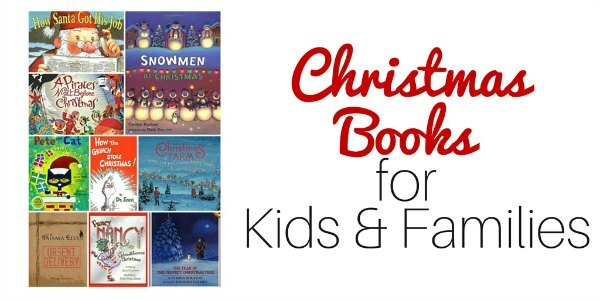 My kids are all about Christmas books these days – you’ll find us piled up on the couch reading our favorites. Come and take a look! after Uncle Jim, the woodworker, tells him the story of St. Nicholas, Peter discovers the meaning behind the hanging and filling of Christmas stockings and learns a heartfelt lesson in kindness and generosity. It’s Christmas in LEGO® City! Pete is on a quest to save Christmas for his family. Christmas is coming, and our young hero wants to buy his best friend, Dragon, the perfect present. He and Dragon take job after hilarious job, earning enough to buy a deluxe Knight Boy action set—but they eventually realize that the best part of Christmas is sharing what you have with those in need. This “I Spy” book uses rhymes and riddles to help children find different Christmas treasures that are hidden on each vibrant page. Mama, Papa, Sister, Brother, and Honey Bear are back in this heartwarming retelling of Clement Clarke Moore’s classic Christmas tale. It is the night before Christmas, and all through the tree house . . . the Berenstain Bears are ready to celebrate! Ellis discovers the meaning of Christmas and learns how this special holiday has been celebrated throughout American history. Discover the true meaning of the holidays with Santa’s Favorite Story. Have you ever wondered what Santa did before he was Santa? Mercer Mayer’s very popular character, Little Critter stars in a getting-ready-for-Christmas picture book. The Carpenter’s Gift tells the story of eight-year-old Henry and his father selling Christmas trees. They give a Christmas tree to construction workers building Rockefeller Center and celebrate together. Through the kindness of the construction workers and neighbors, Henry gets his wish for a nice, warm home to replace his family’s drafty shack. He plants a pinecone from that first Rockefeller Center Tree. As an old man, Henry repays the gift by donating the enormous tree that has grown from that pinecone. After bringing joy to thousands as the Rockefeller Center tree, its wood will be used to build a home for another family in need. For millions of readers worldwide, this mysterious journey to the North Pole has become a beloved classic. This year marks its 30th anniversary. I’ve enjoyed Jan Brett books with my children for almost 20 years. The stories are amazing and the illustrations tell another layer, too. Your family is sure to laugh at Olive’s antics as she tries to join Santa’s team. This the story of Humphrey the camel and his long, cold journey to Bethlehem is beautiful. I never make it through without crying. Another Christmas classic that I can’t read without crying — this story of generosity should be in every Christmas collection. We discovered this book as part of our homeschool curriculum. My children absolutely fell in love. When Wilma decides her garden needs a new beginning, she gathers string, scissors, shovels, sixty-two dozen balsam seedlings, and Parker, her five-year-old neighbor. Year after year, Wilma and Parker nurture their trees, keeping careful count of how many they plant, how many perish, and how many grow to become fine, full Christmas trees. It’s the day after Thanksgiving, and Clayton and Desmond feel the chill in the air. The cool weather makes them think of Christmas . . . and Christmas makes them think of Christmas trees! Who’ll find the biggest one? This is one of my very favorite books to bring out at Christmas time. Don’t miss Snowmen at Night, too. This playful picture book answers the age-old question: Just how does Santa shimmy up and down chimneys? This tale of the eccentric Auntie Claus who bakes cookies every day always makes my children giggle! My boys received this book a few years ago as a Christmas gift, and I think their dad enjoyed it just as much as they did! It’s Christmas eve on the farm where Otis and all of his friends live. The farmer has given Otis his first real Christmas present–a shiny new horn! Any Fancy Nancy fans in your home? They’ll love this edition. The photographs in this book are absolutely stunning — if you enjoy books from Jan Brett, pick this one up, too. My kids crack up at this tale of Turkey, who needs Santa’s help so that he won’t be eaten for Christmas dinner. 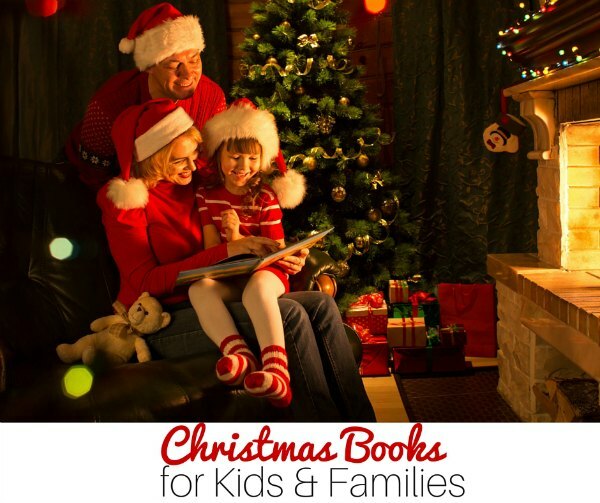 This classic Christmas tale from Dr Seuss is a must have in your holiday collection. There are only five days until Christmas, and the Littlest Christmas Tree is still waiting for a home. Do your kids try to stay up to see Santa? They will love this story. Perfect for your Frozen fans, this storybook also has a CD of the book being read aloud. 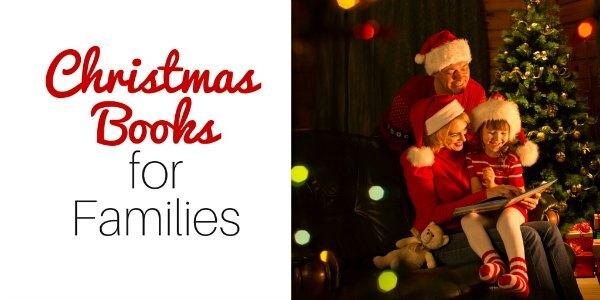 What are some of your favorite Christmas books for families? Share your ideas in the comments!